From elephants, wineries, white-sand beaches and tigers to savannas, museums, waterfalls and caves, South Africa truly has it all. It’s the southernmost country in Africa and one that will astound you with its raw beauty, immense size and extreme diversity. There is no way of seeing it all quite like on a self-drive journey with a motorhome rental, as you’ll have the freedom to go just about anywhere you please. This road trip kicks off in Cape Town, then travels up along the eastern coast before turning inland, swinging by the Kruger National Park, then finishing up in the metropolis of Johannesburg. You’ll see the Big Five (buffalo, rhino, elephant, leopard, and lion) and postcard-worthy scenery, but you’ll also learn there’s so much more to this endearing country than beaches and baboons. Hands on the wheel, foot on the gas, your South African motorhome road trip is about to begin - and what an incredible start it is. In this first leg of the drive, you’ll make your way from Cape Town to Mossel Bay, covering less than 600 kilometres but already experiencing a taste of what this magical country has to offer. 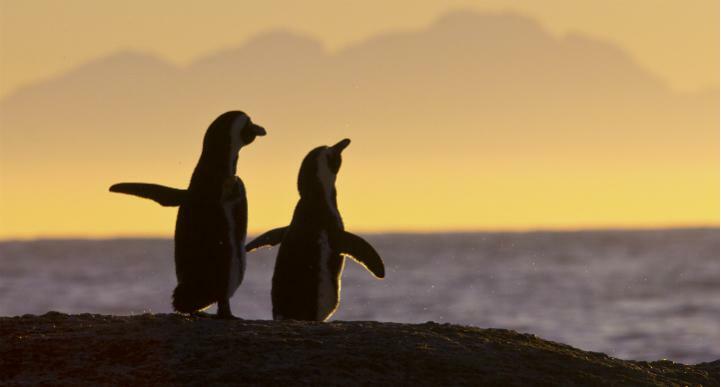 You’ll start in a city defined by nature before moving on to hot spots featuring wineries, penguins, whales and even baboons. You’ll want plenty of time to explore Cape Town and the Stellenbosch wine region, so allow as much as a week for this first phase of your South African campervan road trip. Cape Town is a city unlike any you’ve seen before. While there are millions who call it home, office blocks, apartment buildings and rush hour traffic, there is also the overwhelming presence of nature and a great outdoors so great that it is as much a part of the city as its foodie scene, nightlife, and culture. 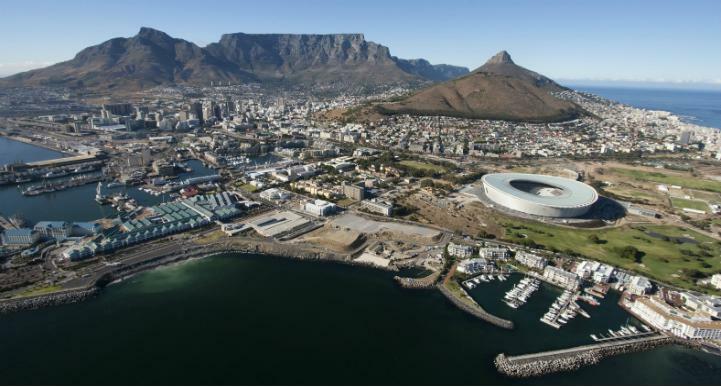 The first thing you’ll notice is Table Mountain, towering over the city. The Table Mountain National Park is a dramatic and enchanting area of craggy mountain range and rich floral life, and simply an unmissable experience while you’re in Cape Town. Whether you take the cableway, hike on foot, or drive your motorhome rental to the top, you can’t help but be amazed by the stunning vistas from this vantage point. Next, make your way to the beaches of the city where you can learn to surf, take a swim or simply relax on the sand. And if you haven’t quite had your fill of the outdoors yet, visit the Kirstenbosch Gardens and their resplendent exotic plants. You can easily spend a full day at the Victoria and Alfred Waterfront area, and it’s one of the best places to grab a drink on an outdoor patio and watch a famous Capetown sunset. Finally, dance and party the night away on Long Street where you’ll find a festival atmosphere and all the fun and music you need for an unforgettable stay in South Africa’s southern city. Once you manage to tear yourself away from Cape Town, take the short drive east on the N2 to Stellenbosch, where one of the country’s top wine region’s awaits. The area around Stellenbosch offers no fewer than 200 wine and grape producers, and is likened to the Napa Valley region of California in terms of its produce. There are tasting rooms, cellar doors, restaurants and more, so the hard part is simply picking which ones to visit first. The Stellenbosch Wine Route can take the hard part out of deciding where to visit, or you can make it up as you go along. Keep in mind that from September through December, the region comes alive with events and activities, so check out upcoming festivities if you plan to be in town during these warmer months. If you’d like to stay a while (or give your driver a chance to indulge in a few vinos), book a spot at the Mountain Breeze Caravan Park. For your next stop, head back south and join the coastal route, the R44, and make your way to Betty’s Bay. Betty’s Bay is a small coastal town and former whaling station, and today serves as a gorgeous seaside getaway that’s known for its beach, laid-back atmosphere, and most of all, its penguin colony. The Stony Point Penguin Colony is one of the largest successful breeding programs for the African Penguin in the world with more than 2,000 breeding pairs. It’s also where you can get right up close and personal with these cute creatures, by taking the boardwalk path through the colony so you can observe them as they go about their daily lives - all without disturbing them. While you’re there, keep an eye out for the remains of the old Waaygat Whaling Station, and for cormorants, as there are three species of this bird in the area. There’s also a great little community restaurant opposite the colony, so you can grab a bite to eat before hitting the road again. Rejoin the R44 and continue east along the coastline, following the road up and turning off onto the R43 to make your way to Hermanus. 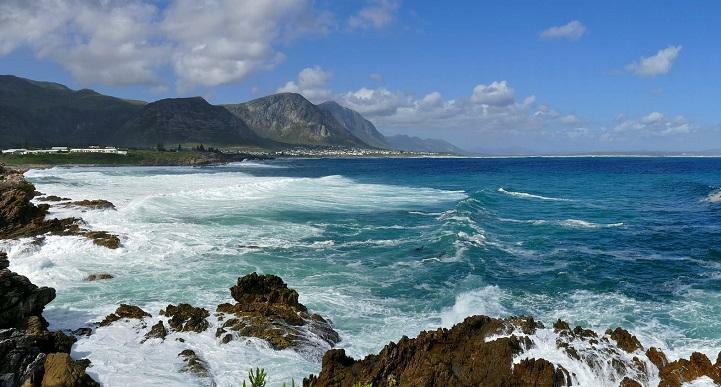 Hermanus is another small coastal town that is largely known for just one oceanic animal - but this time, it’s much, much bigger. This town is the world’s top spot for land-based whale watching, as the Southern Right Whales swim so close to shore that you can watch them from the beach. This calving season occurs as early as June and continues through to December, so there’s a good chance of spotting these creatures if you’re passing through during the second half of the year. Whether or not you’re much of a golfer, a hit around the Hermanus Golf Course can be great fun thanks to the baboons that will quietly observe your technique from the sidelines. You’ve also got plenty of hikes, restaurants and shops in town to keep you entertained should you wish to stay a while. When you’re ready to go, rejoin the motorway heading east, and follow it away from the coast to the R316 before heading directly south from Bredasdorp for a quick detour. Final stop - the southernmost tip of the African mainland, and the continent’s southernmost settlement. Also known as L’Agulhas, this coastal town offers an enjoyable visit where you can stay in the L’Agulhas National Park. The park itself is packed with fishing and birding opportunities, hiking tracks, and awesome scenery, and it’s here where you can pose for a photo next to the ‘southernmost point’ plaque. Be sure to visit the lighthouse before you go and take a stroll along the wild rocky shoreline. After you leave L’Agulhas, head back through Bredasdorp and turn eastward again to make your way to Mossel Bay. It may only be a few hundred kilometres long, but The Garden Route is one of South Africa’s most popular road trips. 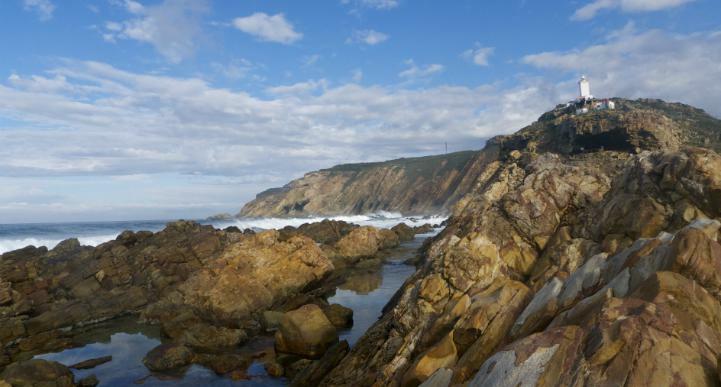 In this leg of your campervan road trip, you’ll wind your way from Mossel Bay along the coast to Stormsrivier. However, we’ve thrown in a slight detour up to the Cango Caves so you don’t miss out on this incredible and historic underground system. You could zoom through this leg within a few days, or you could take it slow, explore its main attractions, and spend a whole week hiking, adventuring, and relaxing on the beach - this one’s totally up to you. Mossel Bay is a small and stunning coastal town that’s become quite the holiday resort thanks to its status as the official beginning of The Garden Route. Don’t be too hasty in starting your motorhome road trip along this famous route however, as Mossel Bay has a few delights of its own. Named for a discovery of mussel shells in a nearby cave, the area is still known for its tasty mussels and oysters, which can be found in many of the local restaurants and eateries. There are also more than 200 historic stone homes dotted about the town that were built over a century ago by Cornish stonemasons. You can go swimming or surfing, and you can even visit the country’s oldest post office, which dates back to 1500 when a man left a letter in a shoe under a milkwood tree. 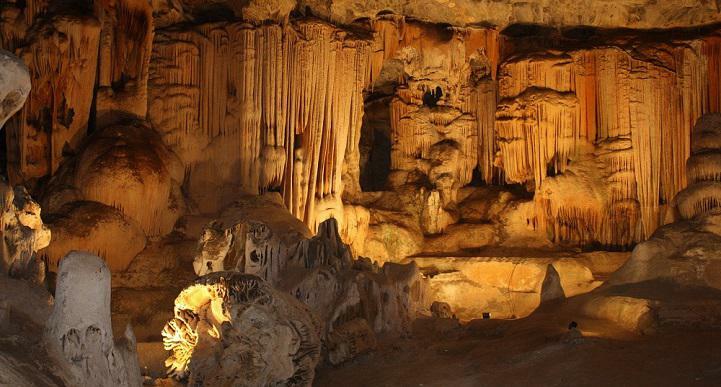 When you leave Mossel Bay, instead of following The Garden Route along the coastline, turn inland and take the R328 for a worthy detour to the Cango Caves. The Cango Caves are a system of limestone structures that stretch out underground, covering a total of 4 kilometres in length. There are cave paintings inside that indicate the system has been visited by humans as far back as the Middle Ages, although they were only rediscovered again in the late 1700s. Today, they’re one of South Africa’s most popular tourist attractions, and they are only accessible by an official tour. You can either take the Heritage or the Adventurer Tour, and you’ll need to book in advance to ensure you get a spot. 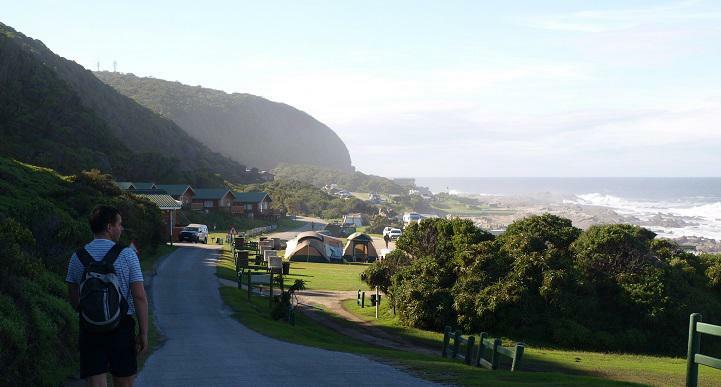 After the caves, head back south via Route 12 to rejoin The Garden Route and continue west to make your way to the Wilderness National Park. At the heart of The Garden Route lies the Wilderness National Park, a rich and lush 1,200-square kilometre area that’s brimming with incredible plant and wildlife. It’s a favourite destination for birders, and it’s another location where you can see the occasional dolphin or whale from Dolphin Point. If you’re after something that’s a little more adventurous, you can try paragliding, canyoning (known here as kloofing), or abseiling. The nearby coast has wild beaches. Naturally, hiking is another popular option that will introduce you to many of the park’s most gorgeous views. Stay on site for a night or two at the Ebb and Flow Rest Camp. 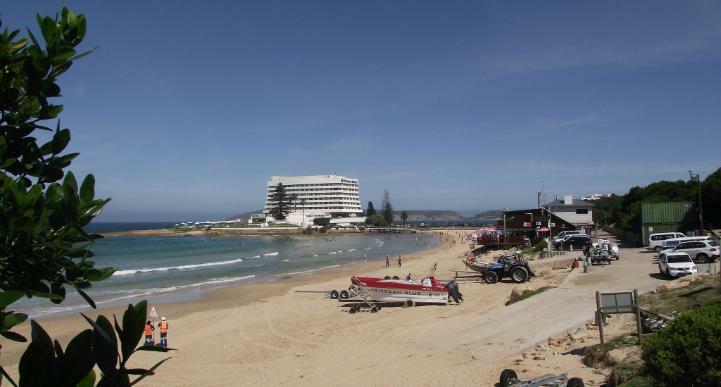 From here, it’s only a short drive along the main road until you reach Plettenberg bay. Known locally and lovingly simply as ‘Plett’, Plettenberg Bay is a small town with a big heart, and a true gem of The Garden Route. It’s here that you’ll find one of the best beaches in the country - a wide swathe of golden white sand, outlined on one side by the clear waters of the Atlantic, and framed on the other by the township and rolling forestland behind it. Aside from the obvious natural attractions of the town, be sure to allow some time to visit Birds of Eden, the largest free flight aviary and bird sanctuary in the world. Alternatively, unleash your adrenalin-junkie and dare yourself to take on the world’s highest commercial bridge bungy - a 216-metre drop over the Bloukrans River on the N2. Or, simply drive past the daring jumpers on your way to Stormsrivier! As you wave goodbye to the beaches and forest greenery of The Garden Route, you’ll start making your way into the South Africa you see in magazines - arts, culture, and of course, elephants. This leg of the trip will give you a little bit of everything, from the non-stop adventure that is the Tsitsikamma National Park, to the bustling city of Port Elizabeth, to the awe-inspiring animals of the Addo Elephant National Park and the Shamwari Game Reserve. It will help to plan ahead on this one, as you can stay a night or two in many of these spots so you may want to leave plenty of extra time to see everything on your wishlist. Stormsrivier marks the final point of The Garden Route, and is a small town on the river’s edge in the Tsitsikamma National Park. The park itself is the main attraction, as it is filled with adventure activities such as mountain biking, climbing, hiking, kayaking, and abseiling, and is another spot where you can enjoy the local wildlife of whales, dolphins, and even otters. There are canopy tours, segway tours, and practically every type of tour you can imagine, so if you’ve ever wanted to try that new fandangled adventure activity, now’s your chance. Aside from endless activities, one of the big draw cards is the ‘Big Tree’, a yellowwood that stands more than 36 metres tall with a trunk circumference of 9 metres and is estimated to be up to 800 years old. Most cameras won’t even be able to truly capture its magnitude, but it’ll be hard to forget once you see it in person. After you leave Stormsrivier and The Garden Route behind, continue following the N2, turning off to your left when you see the signs for Port Elizabeth. Alternatively, you can follow the R334 for Uitenhage for a shorter drive. 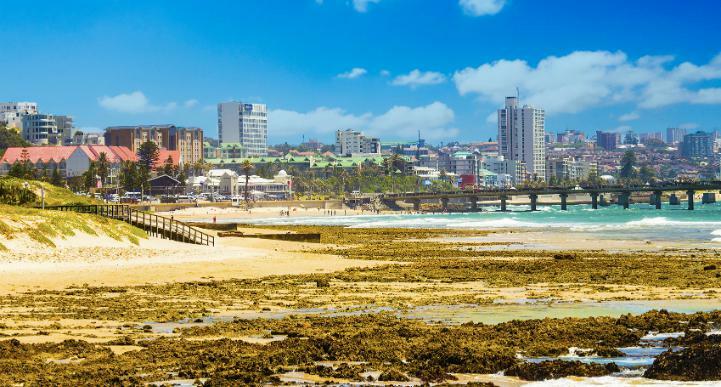 Port Elizabeth is one of the country’s largest cities, and will inject a dose of cosmopolitan lifestyle into your road trip. The restaurants are a point of pride for the city, and The Boardwalk area is a gorgeous leisure resort area where you can stroll the main street and check out boutique stores for a souvenir or two as you go along. One of the main must-do activities while you’re in town is Route 67 - although you won’t need your motorhome rental for it. Begin at the Donkin Reserve and start walking, as this trail highlights 67 artworks throughout the historical centre of the city, marking one for each year that Nelson Mandela dedicated himself to public service. The South End Museum right on the beachfront is another fascinating spot where you can learn more about the country’s tumultuous history. 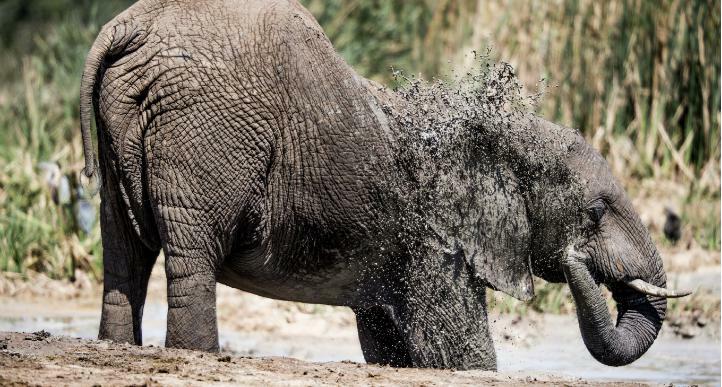 From the city, it’s only a short drive along the R335 to the Addo Elephant Park, and your first real introduction to one of South Africa’s ‘Big Five’. The Addo Elephant National Park is the third largest park in South Africa, and your best time for visiting? On a hot day - especially if you can get to one of the watering holes. As the name suggests, this is one of the many places you can enjoy a special encounter with an elephant, or even a whole herd. That said, there are also lions (mostly in the southern section of the park), rolling sand dunes, and the stunning Zuurberg Mountain. There are multiple camping options on site, although it pays to call ahead to secure a spot. Once there, you’ll be spoiled for choice for hiking trails and tour options to help you find your way around and experience some of the truly remarkable wildlife viewing on offer. Your next stop, only a little further along the main road, is another chance to encounter South Africa’s wildlife during your campervan road trip. The Shamwari Game Reserve is a private conservation initiative set upon a spectacular location and offering a more luxurious wilderness experience. You can stay on site in a luxury lodge, or simply pay a visit to check out one of their many activities. There are game drives, birding tours, and even pro-photography tours. You can sign up to volunteer, or simply visit the Born Free Big Cat Sanctuary, the Rhino Centre, or the Wildlife Rehabilitation Centre for a chance to learn more about the animals under their care and why these wild creatures need our help. And if you’re keen for a little pampering, the reserve even includes a spa service for a relaxing massage in the great outdoors. From the reserve, continue your journey west and back towards the coast as you make your way to East London. Slow it down on this leg and take some time to relax on the white sands of the South African coastline. You’ll visit small resort towns along the way, and with the convenience of a motorhome rental, you can stop in the places you love for as long as you like - or simply keep driving. A visit to the Nelson Mandela Museum will be a surreal, unmissable experience, and the chance to see the famous Hole in the Wall at Coffee Bay should also be high on your list. So relax, take plenty of stops, and enjoy the ride. East London is South Africa’s only river port, and it’s well worth stopping here for a few days of relaxation and exploration. You can try sandboarding at Nahoon Beach, or simply lie back on the smooth white sands by the shoreline for a carefree few days by the water’s edge. You can pay a visit to the East London Museum, which is home to many fascinating attractions, including the world’s only known dodo egg. 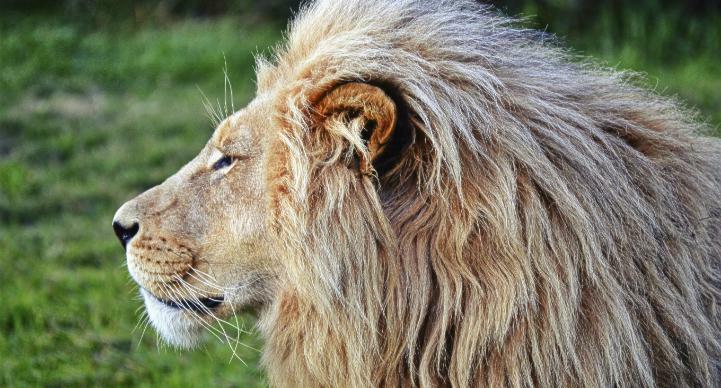 The city is even home to a Lion Park just 5 kilometres from the CBD, so you can stop by to check out the tigers, cheetahs, giraffes, zebras, antelope, and other awe-inspiring animals. The entire city offers that laid-back holiday resort feeling, so be sure to allow a few days here for a bit of a breather and some well-earned downtime. Back on the road again, you’ll be following the main road N2 north-east towards Durban. On your way there, you’ve got a few great options for pit stops. You’ll find the Nelson Mandela Museum just a few hours up the road from East London, and it makes for the perfect place to stretch your legs and take in some of the country’s most monumental history. The museum is built near where Rholihlahla Nelson Mandela was born on July 18, 1918, and was opened in the year 2000 - exactly 10 years to the day he was released from prison. 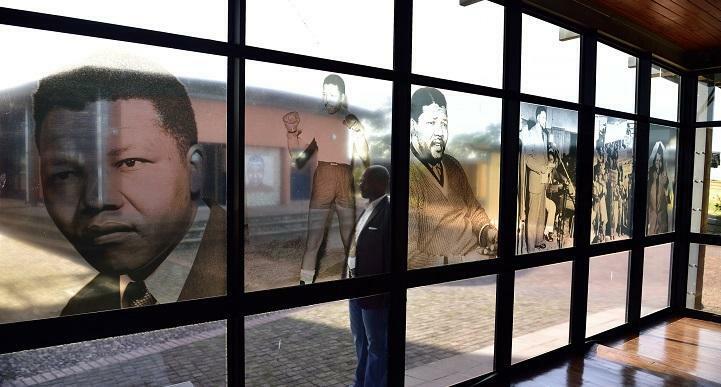 After his prison release and during his years as president, Mandela was given gifts from people all over the world, and he accepted them on the proviso that they would be displayed near his original home, which is how they ended up in this incredible museum. Admission is free, and the exhibitions will help give you a greater understanding of one man’s incredible contribution to South Africa. Shortly after the museum, turn off to the right for a quick detour to Coffee Bay on the coast. Once upon a time, a ship carrying a cargo of coffee beans wrecked on South Africa’s coastline. The beans washed ashore, germinated, and created a forest of coffee bean plants. While the plants are long gone, the name has stuck, and Coffee Bay has become a popular and rustic small town. Motorhome drivers will appreciate the smooth trip, as the road to the bay from the N2 is tar-sealed. Today, the bay is best known for its beachcomber lifestyle, but it’s also synonymous with the Hole in the Wall. The Hole in the Wall is a natural rock feature that forms a large archway through a detached cliff. You can get there by hiking from Coffee Bay, past the Hlungwane Waterfall, and onto this attraction, which also offers an awesome swimming lagoon. 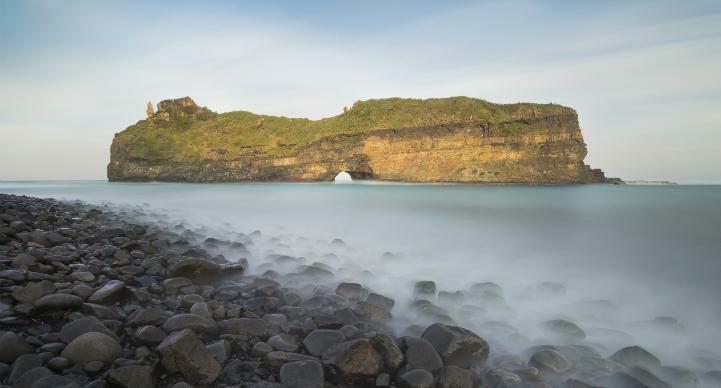 Another nearby natural gem is the Mapuzi Caves, a rugged and stunning cave-dotted area along the coastline. For this one, you’ll need to do a 2-hour roundtrip hike along the clifftops. Go with a tour group so they can show you where you can safely jump from 14-metre ledges into the ocean, and where you can sit in natural rock pools on the shoreline. Once you leave Coffee Bay, head back the way you came to the N2, then carry on north to Durban. You’re well over half way through your RV road trip through South Africa, but the sights and experiences on offer are only just getting started. During this leg of your drive, you’ll spend time in the major city of Durban, before finally moving away from the coast and into the heartland of the country. Take a stop at a luxurious spa for a little pampering, then learn all about the region’s important history as the scene for many of the biggest battles of the Boer-War. You’ll have the chance to experience life in a Zulu village, and the opportunity to visit a Big Five conservation park. Once you leave Durban, this is a nice and quick leg that you can enjoy in just a few days. 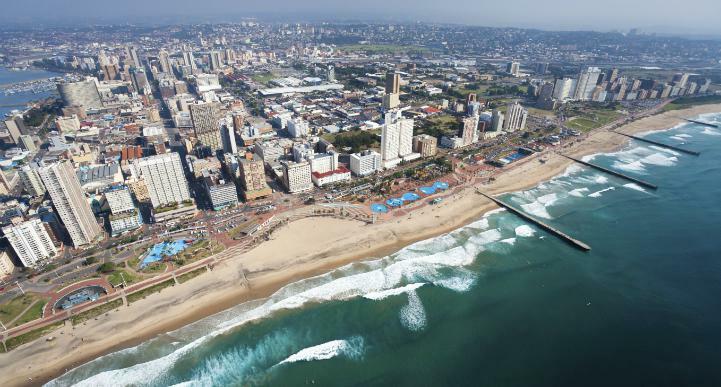 Affectionately known as ‘Durbs’ Durban is the third largest city in the country, and is a mish-mash of culture, scenery, history, and exquisite dining. The range of things to do is as diverse as the city itself. The Durban Botanic Gardens are the oldest surviving gardens in Africa. The grounds cover 15 acres of gorgeous plant-life, and it’s often the venue for large outdoor concerts and events, so be sure to check the social calendar while you’re in town. The Suncoast Casino and Entertainment World is a lively centre for all sorts of activities, and the uShaka Marine World is an oceanic theme park that has everything from shark cage-diving to snorkelling and a massive waterpark. It’s a city where you can easily find more and more things that pique your interest, so be generous with time when planning a stop here. From Durban, you’ll finally turn inland and head northwest on the N3. After the busy few days in Durban, isn’t it time to treat yourself? The Fordoun Spa happens to be handily located just off the main route, and ideal for those in need of a little pampering. This resort is available as accommodation and as a venue, but they also offer fantastic pamper packages and day visits for weary travellers. Book in for a private yoga session, a massage, aromatherapy, or hydrotherapy. You can even try a unique African treatment such as an Inkomfe - African Potato - healing wrap. Whatever you choose, you’ll walk out feeling refreshed and ready to continue on with your road trip. Leaving the spa, you’ll need to get back onto the N3 and continue heading north. You’ll only need to turn off once you reach the R74. Next stop: Ladysmith. 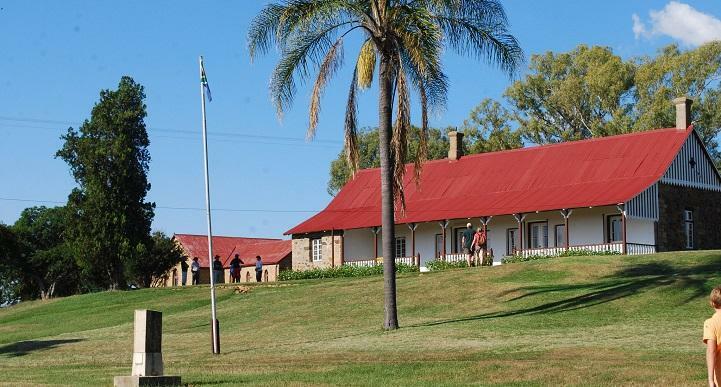 The Ladysmith Siege Museum is a window into the past, as the region around Ladysmith was once the site of numerous battles in the Anglo-Boer War, and this wartime attraction is amongst the best in South Africa. The building itself was built in 1884, and now contains a collection of uniforms, maps, memorabilia, relics and more, and it’s where you can pick up information about a walk and drive through town for more of this fascinating history. 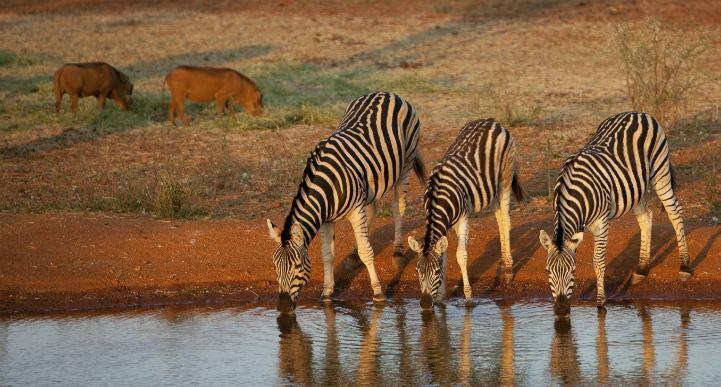 Another of the town’s major attractions is the Nambiti Big 5 Private Game Reserve. This park was created in the year 2000 as the result of local man Rob le Sueur, who worked with wildlife experts and conservationists to stock the land with the ‘Big Five’ and countless other game species. The reserve covers 22,000 acres of land, and it claims to have the most nutritious vegetation in the country, making for an ideal spot for breeding and location programmes - and of course, wildlife viewing. You can either stay in one of the lodges or in the tented campsite if you’re looking to spend a couple of days on the reserve. When you hit the road again, you’ll continue north. You can stop a while in Dundee, but the main point is to turn off here onto the R68 to make your way to Rorke’s Drift for a quick detour. Rorke’s Drift is the kind of place that makes motorhome road trips so magical. It’s a little off the beaten track, and you’d barely spot it on a map, but it’s not to be missed. Here you can book in for a Zulu Homestead Visit at the Isibindi Zulu Lodge, where you’ll experience a day in the life of a rural Zulu family. To begin, you’ll be rowed across the Buffelsriver, then you’ll walk to the homestead to meet a local witchdoctor, before seeing what each day is like for these locals who live a traditional Zulu lifestyle that hasn’t changed in more than 100 years. Another of the attractions here is the chance to do a Rorke’s Drift Battlefield Tour. You’ll begin your excursion at the Fugitive’s Drift Lodge, before setting out and hearing the story of how 4,000 Zulu warriors once attacked 139 British soldiers here - more Victoria Crosses were handed out after that battle than any other in history. A Victoria Cross is the highest award available in the UK honours system, and is given for acts of bravery in the face of the enemy. Your visit will be an afternoon of visiting sites and hearing their stories, before returning to the guest house for a drink by the fire. From here, it’s a little over three hours back up the main road via the N11 to make your way to Ermelo. There’s a lot to love on this short leg of your self-drive journey. It kicks off in Ermelo, then heads off through a series of memorable vistas as you visit a game reserve that’s dotted with 3,000-year-old rock artworks, followed by a scenic hiking trail, and a visit to a chimpanzee sanctuary. You’ll only need a few days to make your way along this route, but you’ll need plenty of space on your camera as you’ll hardly take your finger off the shutter button the entire way. Ermelo, South Africa, was named after Ermelo, the Netherlands, thanks to the reverend who established a church here in 1871. The reverend’s good friend hailed from the northern city, and thus the South African version was born. While you won’t need to spend long here, it is worthy of a visit so you can take a look around. The town was actually completely destroyed in the second Anglo-Boer war, but has since been rebuilt and is now a hub of the Mpumalanga province known for its farming, mining, and outright natural beauty. If you’re looking for activities, there’s plenty of bird watching, as well as watersports and fishing at nearby dams. 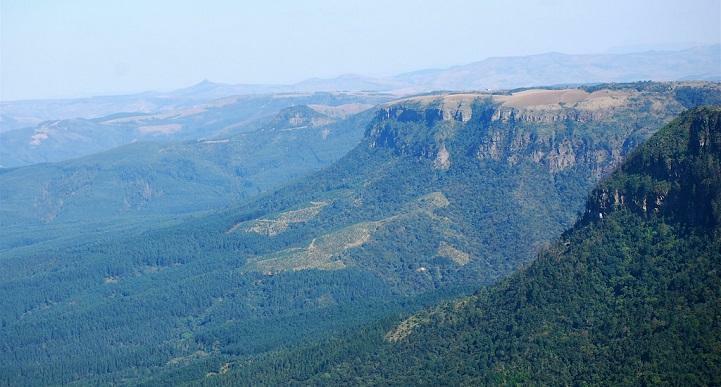 We recommend spending some time in gorgeous Mpumalanga, especially if you love the great outdoors! Ermelo is located at one of the biggest crossroads in South Africa, but it’s the N17 you’re after, where you’ll make your way north-east to the Nkomazi Game Reserve. Arriving at the Nkomazi Game Reserve will feel like you’re stepping into a postcard. Mountains, savannah plains, and the Komati River set the scene for a memorable South African road trip experience. You can explore the area on a nature walk with a knowledgeable ranger, or take to two wheels instead of four and try a mountain bike ride into the reserve. There are more than 250 species of birdlife in the park, and you won’t need to be a professional birder to appreciate their beauty. Of course, you can also take a game drive with a guide to check out more of the wildlife, but one of the biggest reasons for visiting the Nkomazi Game Reserve in particular is the magnificent and ancient San rock art. Art sites here date back more than 3,000 years - a number that’s tough to comprehend when you’re standing right in front of it, thinking about how much time has passed since the artist was in the exact same location. A guided tour of some of these sites is an absolute must, as a professional can share the stories and history of the location, and explain further about what life was like so long ago. After leaving the reserve, head back to the main road and turn north onto the R38, then take a detour onto the R541 to make it to your next stop. There’s no doubt that if you’ve decided on a South African motorhome tour, you’re already a fan of the great outdoors and the epic scenery the country has on offer. The Bermanzi Hiking Trails are an incredible way to get out and experience some of those vistas on foot, and there are a number of options available so you can opt for shorter or longer hikes. The trails are based around the gorge that winds its way up to the stunning Uitkoms Waterfall, which is the second largest in the region. The main route is just 12 kilometres, and you’ve got plenty of swimming holes to dip into along the way should you need to cool off. Longer trails take up to three days to complete, and all of them offer opportunities to spot wildlife such as kudu, bushback antelope, and various bird species. Back to the main road again and heading north on the R38, the next stop on your route is locally known simply as Chimp Eden. Chimp Eden - or officially, the Jane Goodall Institute Chimpanzee Eden - is a 1,000-hectare sanctuary for rescued chimpanzees, and is the only one of its kind in South Africa. 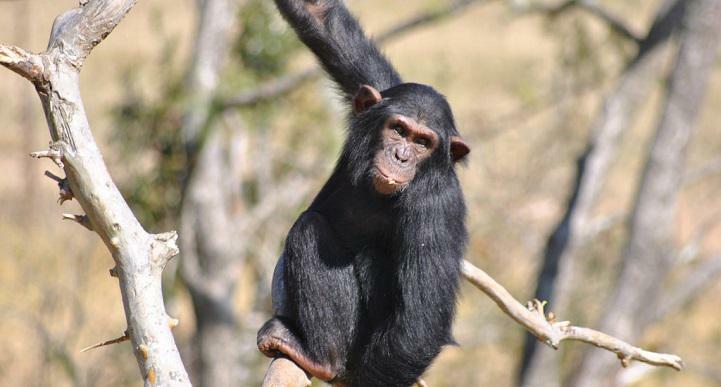 Chimps often need to be rescued from the meat trade and the illegal pet market, while other times they have been orphaned or traumatised from being used as entertainment. Here, the chimps live in semi-wild enclosures and enjoy all the attention and socialisation they need so they can recover. The institute is open daily, so you can pop in to visit one of the three different enclosures, and tour the viewpoints that overlook the forest and foraging areas to spot the chimps. One of the best ways to learn about these creatures is on one of the free tours that run three times daily, where you’ll hear all about their lives, conservation, and the work of the institute. Finally, head north via the R40 to make your way to one of South Africa’s most loved attractions, the Kruger National Park. This final leg of your road trip is a perfectly fitting goodbye to South Africa. Not only does it feature the country’s top attraction (the Kruger National Park), it introduces you to arguably the best view in South Africa, takes you through the capital, and lands you in the middle of the action in the largest city of the entire trip. There truly is a little bit of everything, and you’ll need as much as a week or more to do justice to these incredible places. If you’re still deliberating about whether or not to hire a motorhome for a South African road trip, the Kruger National Park will be the crowning jewel that will sway you. We’ve saved the best ‘til last - it’s the undisputed top game reserve in the country, one of the best in all of Africa, and easily in the top five national parks in the world. The park covers a massive 2 million hectares, and in it you’ll find a phenomenal mix of wildlife, archeological sites, and epic scenery. 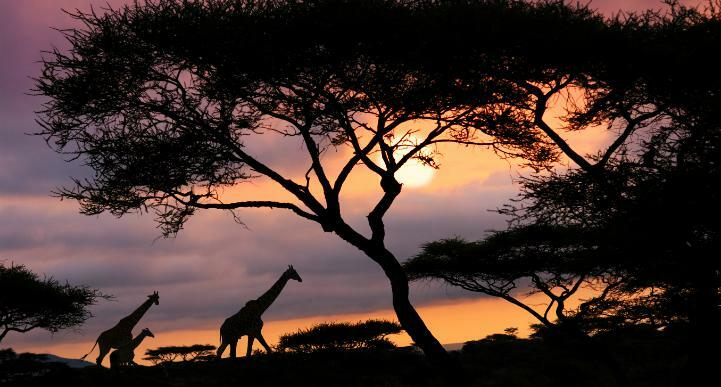 There are walking and driving safaris, tours by sunrise and tours by sunset. The Pafuri Border Camp offers places to stay, as well as a small museum and even a swimming pool to cool off on those hot days (without having to share a swimming hole with the wildlife). Of course, you can see the Big Five animals here, but you also might spot the ground hornbill, the fish eagle, and the surreal baobab and marula trees. From mountain biking to 4x4 adventures to bush walks and game drives, you’ll never be short of incredible experiences while you’re here, so be sure to allow plenty of time for your visit. When you can finally tear yourself away from the park, take a detour north via the R532 for a last major natural attraction. The Three Rondavels Viewpoint would seem at first to be a quick stop during your self-drive trip, but ends up magically stealing several hours from your schedule. 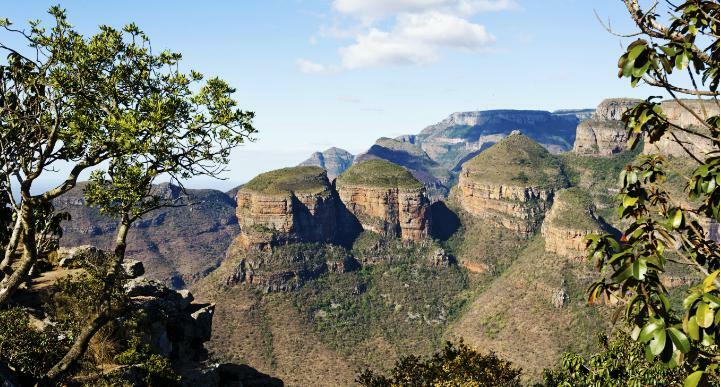 The Three Rondavels are also known as the Three Sisters (and sometimes as ‘The Chief’s Troublesome Wives’), and are an ancient geological wonder made of shale and quartzite. As well as these these monumental rock formations, the vista includes a broad swathe of the Blyde River Canyon, and the faint view of the Lowveld in the distance. Some argue that this view is simply the finest in all of South Africa - so there’s really no way you can pass it by. After an array of wildlife, hikes, scenery, and the great outdoors, it’s time to turn your wheels toward South Africa’s capital city, Pretoria. Also known as the Jacaranda City for its gorgeous purple flowering trees throughout the town, this capital is everything you could want from a bustling metropolitan hub. 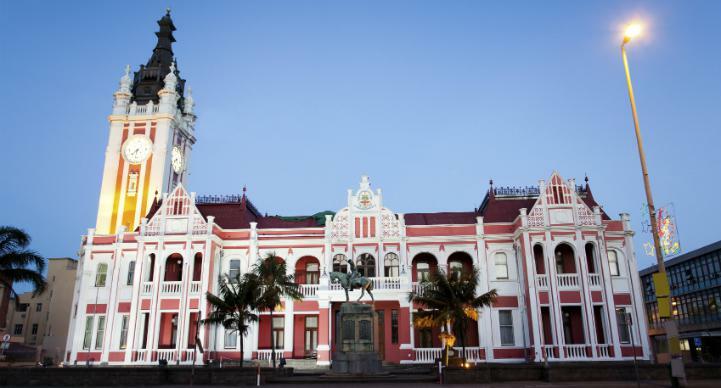 The city was once at the heart of Apartheid, but has since become a thriving multicultural centre with numerous attractions dedicated to both remembering and moving on from its past. The Voortrekker Monument is a hilltop structure dedicated to the original Afrikaans settlers, Freedom Park is a memorial for all those killed in South African wars (including Apartheid), and Kruger House offers a fascinating look into what life was like in the 19th century. A stroll around Church Square and the Union Buildings in the centre of town will help you get a better feel for the city, and naturally it’s an ideal spot to grab a few souvenirs or buy yourself a trinket or two. 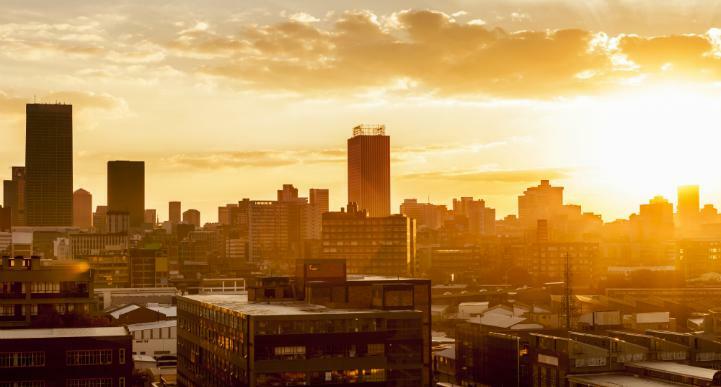 The biggest city in South Africa, Johannesburg makes for the perfect final destination - and a convenient one, considering you can easily drop off your motorhome rental here before you fly out. You’ll hear the locals call it Jo’burg or Jozi, and you’ll quick come to feel at home as you explore its sights. The Apartheid Museum is a sombre but important place to visit before leaving the country. Set aside time for an afternoon at the Neighbourgoods Market or the hipster and fun-loving Maboneng Precinct. And of course, if you simply haven’t had enough of the wildlife during your road trip, you can stop by the Johannesburg Zoo. A month of your time and a bit of self-driving - that’s all it will take to fall in love with South Africa. From the south-west to the north-east, this motorhome itinerary will introduce you to many of the gems the country has to offer, and you’ll no doubt discover many of your own along the way as well. Prepare your camera and your sense of adventure, and get ready for a road trip of a lifetime.